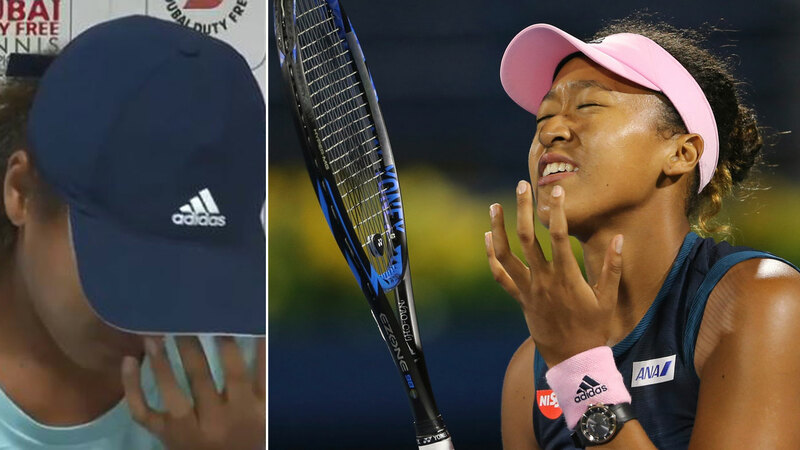 The timing of Naomi Osaka’s tears was understandable. Yet it was also enormously problematic for women’s tennis in the ongoing fight for equal pay. Osaka has shot from world No.72 to No.1 in little more than a year, off the back of two consecutive Grand Slam titles. As the 21-year-old holder of the US and Australian Opens, she is the new superstar of tennis. Japanese-Haitian and a US citizen, Osaka holds enormous global appeal and endorsement offers are flooding in. She isn’t just a killer tennis player, she’s mainstream famous. That’s an overwhelming learning curve at the best of times; Osaka can’t believe that she’s arrived so rapidly. Yet Osaka is also publicly dealing with a surprise split from her coach, Sascha Bajin, plus debate in Japan over her ‘Japaneseness’, as a biracial person who does not speak the language of her birth country. And the ultimate kicker: she’s shy. Serena Williams may have forced pay equality back on to the agenda at the Australian Open, yet the tournament’s winner is struggling to deal with the public demands – and responsibilities – that come with being a star in women’s tennis. Osaka made that clear after being bundled out of the Dubai Tennis Championships in her first match, against world No.67 Kristina Mladenovic. "I don't think I necessarily understand what position I'm in, in a way,” she said, tears in her eyes. "Because last year, I wasn't even anywhere close to this ranking and people didn't pay attention to me. That's something that I'm comfortable with. “Yeah, I don't really like attention ... so yeah, it's been a little tough." Tennis has a fresh new face, but Osaka is not comfortable presenting herself as such. She is a brilliant new selling point for the game but a reluctant salesperson. Which takes us to the most fraught issue in tennis. The pay gap between the men’s and women’s game was tough to crystallise in the bright lights of Melbourne Park, where both singles champions banked a cool $4.1 million. The Australian Open, proudly, could not be more equal when it comes to paycheques. The same goes for the other Grand Slams. But Slams account for just eight weeks of tennis per year, and they are a law unto themselves; separate corporate entities that run their own tournaments. The weekly grind of the world tours falls to two governing bodies: the men’s ATP Tour and the women’s WTA Tour. The prizemoney at these tournaments is the responsibility of the respective tours and their marketing departments. They generate the revenue and players’ potential earnings are at the mercy of their respective success. Take the prizemoney for comparable from ATP/WTA events that concluded on the weekend just gone. The ATP 500 tournament in Rotterdam had prizemoney of €2,098,480 ($3,326,472); champion Gael Monfils won €405,030 ($642,166). The WTA Premier event in Doha had a total purse of $US916,131 ($1,279,676); winner Elise Mertens got $US158,895 ($221,962). That’s a difference of $420,204. Monfils made nearly triple the prizemoney of Bertens for a comparable tournament win. The ATP had a lower level 250 event in Doha during January. Despite being of lesser standing than this month’s WTA event, total prizemoney was $US1.3 million ($1,814,264) and the winner – Roberto Bautista Agut – earned $US219,755 ($306,687). That’s nearly double what Mertens got, despite her winning a tournament of higher status across ATP-WTA lines. The sponsor for the men’s event was ExxonMobil. Such discrepancies aren’t exacted across the entire calendar. Concurrently-held ATP Masters 1000 events and WTA Premier Mandatory events, like the upcoming Indian Wells and Miami tournaments, offer comparable prizemoney. Yet at the 2018 Rogers Cup in Toronto, the men’s singles champion last year made double the women’s winner: $US1,020,425 against $US519,480. There was nearly identical inequality in Cincinnati. Pay discrepancies are rampant at lower-level tournaments, where players of lesser fame try to grind out a living with varying degrees of success. It is not unusual for an ATP 250 event to carry triple the prizemoney of a comparable WTA International tournament. The exception, for this year at least, is the Finals tournaments. The WTA Finals have relocated to China and 2019 prizemoney has doubled to $US14 million. The ATP Finals remain in London and prizemoney is $US8 million; down $US500,000 from last year. Lower prizemoney for women’s tournaments may reflect entrenched sexism that has thawed at glacial pace, globally and across workplaces of all varieties. It may also reflect inferior marketing; a charge that has been levelled at the WTA. The WTA’s marketing strategy for the past decade, critics say, has largely boiled down to one name: Serena. Plus, Maria Sharapova, who hasn’t won a Slam for five years and has served a drug ban. The promotion of young talent, compared to the ATP Tour, has been inadequate. Former Australian men’s player Sam Groth made this point strongly in a 2018 column, shortly after then women’s world No.1 Simona Halep inexplicably played the Australian Open final without an apparel sponsor. Groth said WTA officials were simply not reaping enough revenue from, and for, their players. Through that lens, Osaka represents a golden opportunity for women’s tennis. She is a brilliant young player with a spiking social media following who has claims to mass popularity in at least three countries – USA, Japan, Haiti – with a combined population of more than 460 million. Yet she does not feel comfortable being famous. The WTA must ensure that they’re doing everything possible to assist her with that transition, because she is the star that women’s tennis needs. Women’s tennis still battles archaic perceptions and arguments. The five sets versus three sets argument holds no water at all outside the Grand Slams, and it is perverse that pay discrepancies are at their worst in tournaments where all players, male and female, play best-of-three. Men’s tennis has also enjoyed an era of mind-boggling quality, with all-time greats Roger Federer, Rafael Nadal and Novak Djokovic reigning supreme. The ATP Tour has essentially had three Serenas with which to promote its product, great rivals all. Serena, when in peak form, can wipe the floor with any WTA rival. At least, that is the perception. There was an interesting difference when Federer and Nadal were asked about pay equality during the Open. Federer espoused pay equality as a principle. Nadal said he supported better pay for whichever players raised the most revenue. He said he would be happy for women’s players to earn more than men should they raise more revenue; yet the ATP still out-earns the WTA. The ATP Tour promotes its depth of stars relentlessly, when in fact the men’s ranks are far from deep at the elite level. Federer, Nadal, Djokovic, Andy Murray and Stan Wawrinka have won 58 of the past 63 Slams. In that period (dating back to Federer’s first Slam), 10 men have won majors, against 23 women; plenty of stars to market, had it been done to maximum effect. The latest, of course, is Osaka. The WTA Tour has a blue-chip poster girl in Osaka. Hopefully, for her sake and for her sport’s, she starts to become more comfortable with billboard treatment. Tennis is a trailblazer in women’s sport. Per Forbes, eight of the top 10 highest-earning athletes in women’s sport last year came from tennis. In what other female sport can an athlete hope to make $4.1 million for winning a single two-week tournament? Serena banked $US18 million in endorsements alone last year and has nearly $US90 million in career prizemoney. Yet if it is a trailblazer for earnings, tennis must also be a pioneer for equality. And even in a world where a top female player can earn tens of millions, the glass ceiling remains unbroken.